Moving to America turns Hà’s life inside out. For all the ten years of her life,Hà has only known Saigon: the thrills of its markets, the joy of its traditions, the warmth of her friends close by . . . and the beauty of her very own papaya tree. This is the moving story of one girl's year of change,dreams, grief, and healing as she journeys from one country to another, one life to the next. 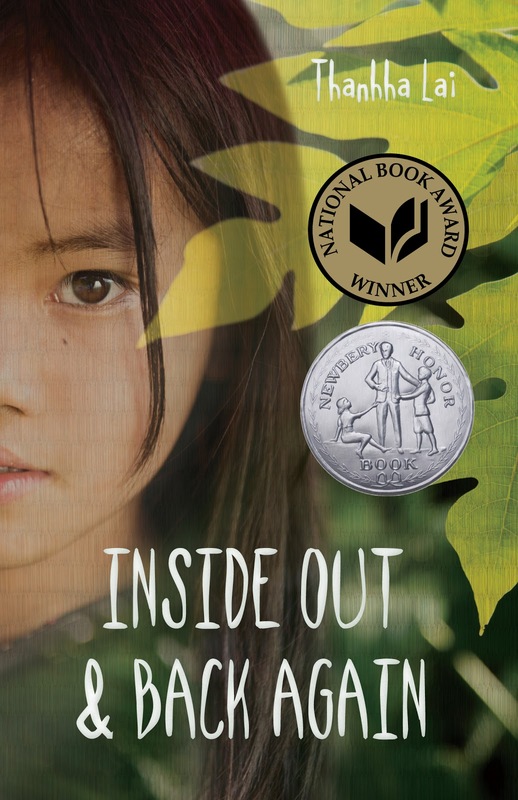 Hà is a ten year old girl who has lived through the Vietnam war, her father went missing a number of years ago, but in spite of the sadness in her life, she is happy, and loves her country and it’s traditions. Her prized possession is a papaya tree, which she has grown from seed. Every day she watches and waits, waiting for the papaya to ripen. The imminent fall of Saigon, means the family must leave Vietnam, and that means leaving the papaya tree behind too. Hà and her family are lucky enough to have a place on a boat, leaving Vietnam to make their way to a new unknown home. The book describes the journey on the boat, living in confined quarters, with very little food and just as the food is starting to run out, the boat is found and they are towed to Guam, where the families put in their applications for where they would like to go. Initially Hà’ s mother was planning on going to Paris, where she has a cousin she has never met, but someone whispered to her that America was a better choice, with so many opportunities, especially for young men (Hà has three brothers, Quang, Vu and Khoi), so this is how they find themselves in Alabama. This book may have been set in the 1970s, at the end of the Vietnam War, but the story is timeless and I am sure it reflects what all migrant children have to deal with. A new country and culture, where you don’t speak the language and even the food is different. Hà and her family are the first real life Asian’s that the people in this Alabama town have seen, and the children at school are far from kind, calling Hà pancake face and pulling the hairs on her arms. The bullying is hard enough but Hà was a smart girl in Vietnam, but in America she feels dumb, and she finds learning English extremely difficult, as there are so many rules, and then so many exceptions to the rules. This is a story told in verse, and as I have said in other posts, I love verse novels, but not everyone does. Few words and short sentences may make this verse novel the perfect choice to look at a this very current and relevant issue. It’s not a difficult read, but it’s story that would promote a lot of discussion and make readers think about their own actions and behaviours. It’s a great opportunity to take a walk in someone else’s shoes. While this story is fiction, there is an authors note at the back of the book where we can read about the similarities between Hà's experiences and that of Thanhha Lai.